Hand baked enamel set with gold & black seed beads. Highlighted with large glass crackle beads. Information below. This desirable handmade & hand baked enamel is a ‘must have’ for collectors of enamel jewellery. 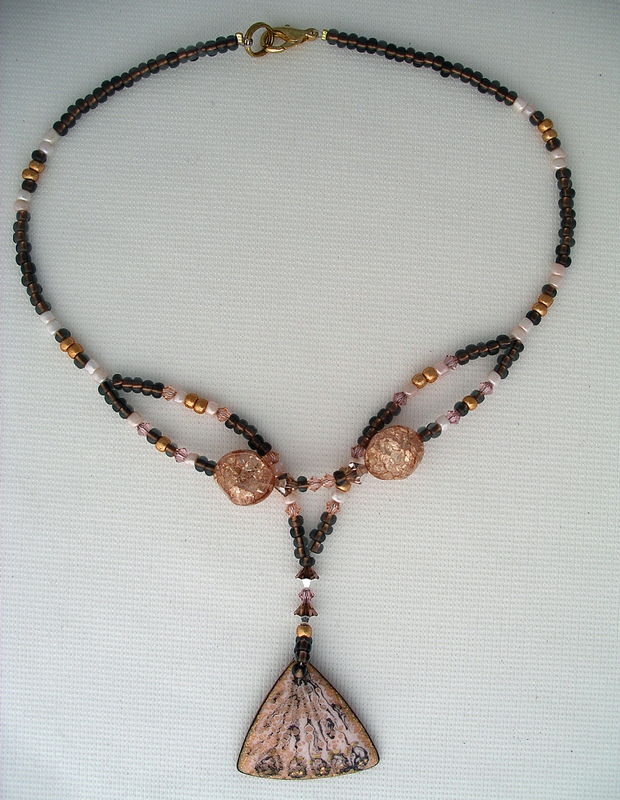 Showcased with two large crackle beads and highlighted with blacks golds and pearl seed beads. This piece is currently on display at JLB Studio located In North Carolina. The feature enamel was baked, coloured and designed by JLB Studio. Please inquire regarding availability of this superb and unusual piece.